There are thousands of contractors in our area. Although they can look similar online, there’s a big difference between an actual company, and a shady guy with a hammer who has a website. When you are investing in home improvements, you will need to know that the contractor you choose will not only complete the project after taking your deposit, but also do the work correctly, and ensure that you are happy with the overall result. 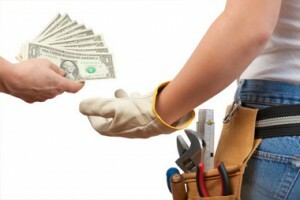 It is important to choose a company that cares about their reputation enough to come back and fix any problems that arise even after you pay the final payment. How can you find a company like that? Do your online research diligently, and you will know who to trust with your project. This is paramount! Member of the BBB, with at least an “A” rating. Companies with an A rating have worked to earn it by taking care of their customers, and take their BBB membership seriously! Also, membership to the BBB requires paying a significant amount in annual dues. Legitimate companies who plan to be around for many years are willing to invest in a BBB membership. If a company uses the BBB member logo, don’t take their word for it, go to the BBB website and verify! Online Local Directories. There should be plenty of information about the company on multiple sites such as insider pages, yp.com, yahoo local, etc. Do a search for the company on google, and see how many different websites list information about that company. If there are only a couple sites that mention the company, this is a red flag. Reputable companies who have been in business for a long time and served many customers over the years should have a larger online footprint. Online Reviews. This is the most important thing to research before hiring any contractor. If you can’t find any reviews about the company, stop right there and choose a different company! Contractors who have been in business for more than a few months should have reviews! Be thorough when looking at reviews, since companies are able to post fake positive reviews. 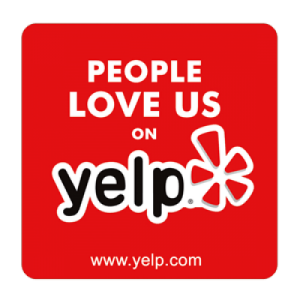 Good sites to check include Google and Yelp. Both of these sites strictly monitor their reviews, and only allow legitimate reviews to be posted. Owners are not able to remove negative reviews from these sites. Check the date on the reviews. Companies who have been in business for a long time should slowly acquire reviews over time, not all in the same month. Carefully read any negative reviews. 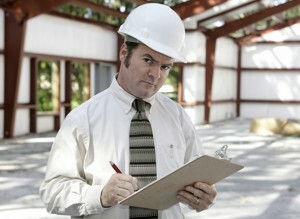 A couple negative reviews within a large amount of positive reviews is normal, especially in the construction business. Read the owner’s response to the complaint. Does the owner sound like he is making excuses, or does it sound like he is concerned and wants to resolve the complaint? Facebook is a good place to look for negative reviews, because the owner of the company can’t remove negative reviews. Have any tips you’d like to share? Feel free to comment below! Great advice, Thank you! I am currently looking for a contractor to convert my covered patio into an enclosed room, I will be using these tips.